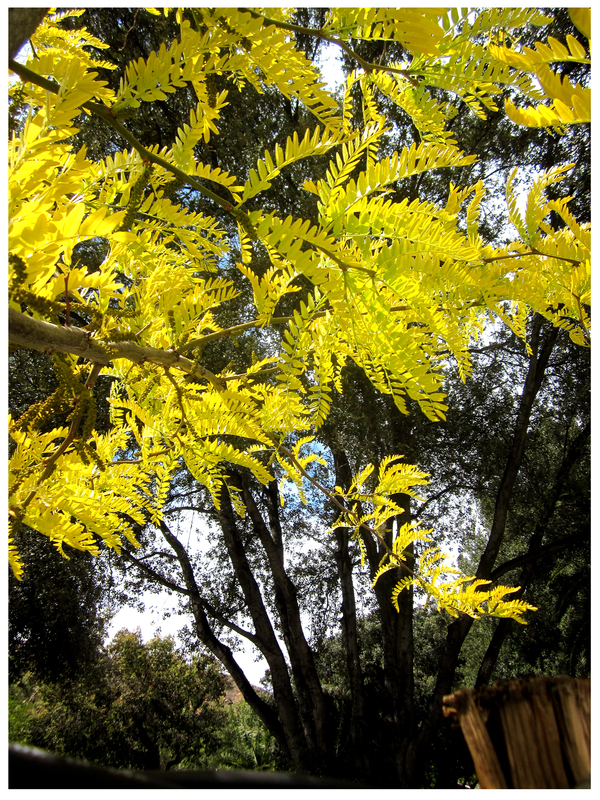 Our Honey locust loses its leaves early, looking threadbare and pokey most of the year … This makes the Spring gold-show that much more precious … Priceless, really. You take the most glorious pictures. I think so, too… I just wish the show lasted longer! How early is early? Just curious, like early fall or in the summer? Is this Robinia p. Frisia? I’ve seen that showy beauty in many exceptional gardens but hadn’t realized it presented this problem. Your tree is the young one? Wondering if the first photo is another, mature tree? I also wonder how much a warmer climate might affect the growing habit, as I seen the tree flourish in the Pacific NW. By the way; both pictures are of the same tree, taken at the same time … For the close-up I was under the tree, shooting toward the underside of a much more shaded tree for contrast. Thanks for your comment! It’s working! How’re you doing? Hi there, I love this tree too. 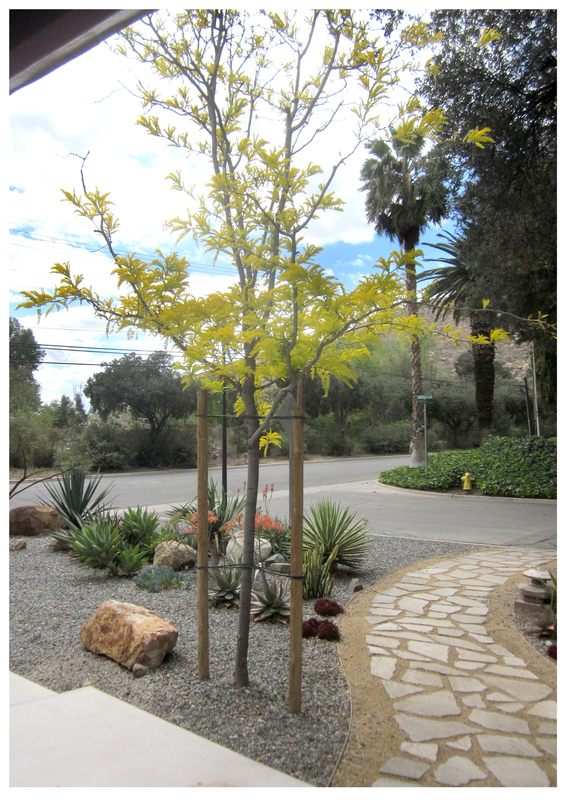 Gleditsia triacanthos var. enermis. So late to flush out but worth the wait. If only this coincided with Jacaranda bloom. Maybe with climate change it will!